The how to of preventing workplace violence can be a struggle for any employer. But, as an employee I have a responsibility to contribute making my workplace safe and secure. 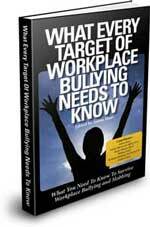 It starts with employees learning all we can about violence in the workplace. The employer has to recognize what departments and personnel will be involved in executing the violence prevention plan. Any effective workplace violence prevention strategy should include human resource, the legal department (if any), the employer employee assistance program (if any), a workplace threat assessment person or team, security people (if any), and local law enforcement. 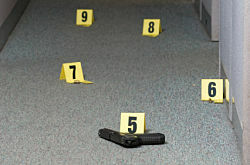 These various areas of the workplace will offer different qualifications and solutions to preventing workplace violence. My employer's personnel or human resource department is responsible for creating and enforcing all policies, training, employee handbook documentation, relevant employee disciplinary procedures and of course workplace violence response and prevention programs. The HR should provide education and awareness training for all employees in dealing with the before, during and after of a threat or violent incident. HR is responsible for investigating reports of threats or potential violence and respond to any violations of company workplace violence prevention policy. HR can also assist in determining what other departments are relevant to the process. The human resource department should conduct a detailed investigation with appropriate confidentiality and respect for the workplace privacy of the all involved. If there is an employee union, Hr can work with the union to create a violence prevention plan. The purpose of a threat assessment team is to evaluate if there is a risk of danger to people in the workplace. The goal should be to recognize those who show workplace violence warning signs or have a history of violence. A review of the all the events surrounding the incident should be made to determine the risk level for violence. The threat assessment process should also have guidelines for establishing a chain of command of authority in handling a violent emergency. Your employers' legal advocate's main duty whether in-house or enlisted from outside the company should be to make sure the business is abiding by the law, including workplace violence prevention. It should also offer guidance in how to plan a strategy to deal with legal issues involving workplace violence. Here’s one important thing career seekers and employees should understand, your company’s legal and human resource departments are not your friend! Let me say that again, do not assume your HR or legal department is there to defend you! They will assist us to the point of what’s in our best interest versus the employers’ best interest. Who do you think they will side with when the company is facing potential legal liability? That fact is one of the reasons it's so important for us to learn our Basic Employee Rights. Before, during and after a threat or act of workplace violence the legal department advises our employers on what relevant policies, procedures and actions should be taken as a solution to preventing or responding to workplace violence. Our employers legal department should guide them through the potential maze of issues leading up to and after a violent act. A company security department should provide guidance to the employer on pre employment background checks and when and how local law enforcement should be utilized in any prevention plan. The workplace violence prevention plan should also have the security person or team outline any physical on site safety options such as carded access and employee monitoring camera systems. As an employee I want the security person or department to handle any violent incident appropriately until the police arrive! During the course of seeking to prevent or responding to a violent workplace incident our employers will also have to be careful in how the investigation is conducted. Human resources, legal, security and threat assessment must work together. All too often I have seen and been the recipient of unjustified reprimands, demotions and terminations based on the incompetence of managers and supervisors. If a threat or violent incident is not correctly investigated resulting in adverse action including wrongful termination the employer could find itself in legal hot water. If the employee is a member of a union the company has to abide by any agreements dealing with investigations of the employee's conduct. When the employer disciplines the employee outside the bounds of negotiated collective bargaining agreements any negative action taken could be disputed by the union. Preventing workplace violence programs must be investigated and applied fairly and equally. If my employer investigates workplace violence differently when native Americans are concerned than Irish Americans charges of discrimination could follow. As I mentioned earlier our employers must investigate a threat or act of violence with respect to the employees right to privacy. Gathering information, performing searches, questioning co-workers or making psychological assessments of a worker's risk of violence must not violate the privacy rights of all involved. The Americans with Disabilities Act has very specific guidelines for the rights of an employee that may have a physical or mental impairment that could be the cause of threatening or violent behavior. Any investigation or decisions for termination or discipline has to comply with the ADA and any other state disability laws. Let's now take a look at how our employers could and should apply the techniques and coordinate different departments for preventing workplace violence effectively. Our previous workplace violence scenarios involved examples of the four types or characteristics of violence. The Hostile child support payer is an example of the customer/client type of workplace violence. The Exploding intimate friend or spouse is an example of thepersonal relationship type of workplace violence. The desperate bank robber is an example of the acts of crime type of violence in the workplace. The Furious fired worker is an example of the employee on employee type of job violence. There is no one size fits all answer when it comes to preventing workplace violence. However, employers that put together a framework of interdepartmental cooperation, utilizing appropriate resources, knowledge, policies and procedures are better equipped to handle a threat or violent act. We continue our look at preventing workplace violence part 4 which provides solutions for preventing our four workplace violence scenarios.